While continuing to review some of the changes that came with Update 11, it was brought to my attention that there is a new set of LI Relics! If this addition was mentioned in the Update notes, I and many others overlooked it. So I don't have to recap the world of relics, I will pick up with a continuation from Part 1, Update-10: t9-and-eastemnet-relics, which explains how relics are named, how to get shards to make relics, gives a list all the T9 and Eastemnet relics and costs, and shows math behind why one would choose a Morale-based set of relics versus a Mastery-based set of relics. 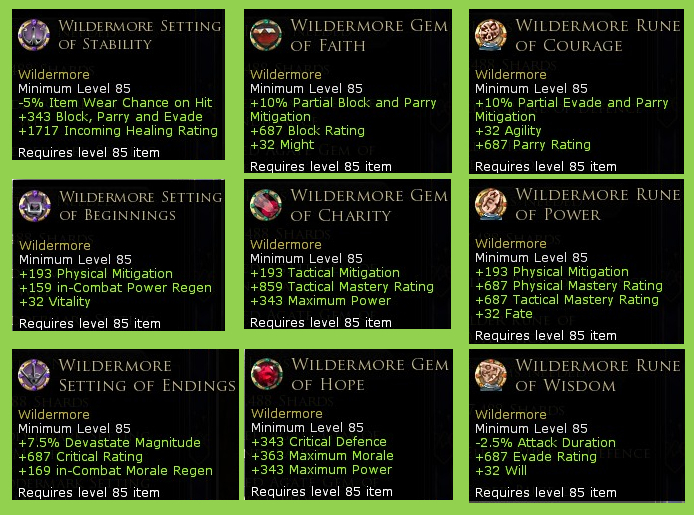 New Wildemore Relics: So, in this "part 2", let's start with a picture of all the Wildemore relics that were added. Each of these relics costs 3 specific T9 relics + 7488 shards. In that regard, it costs the same number of T9 relics to meld as the Eastemnet relics but the shard cost is more expensive (eastemnet relics were only 4992 shards). Granted, shards are very easy to obtain with a just a little planning (see rohan-shard-queen-master-of-relics). 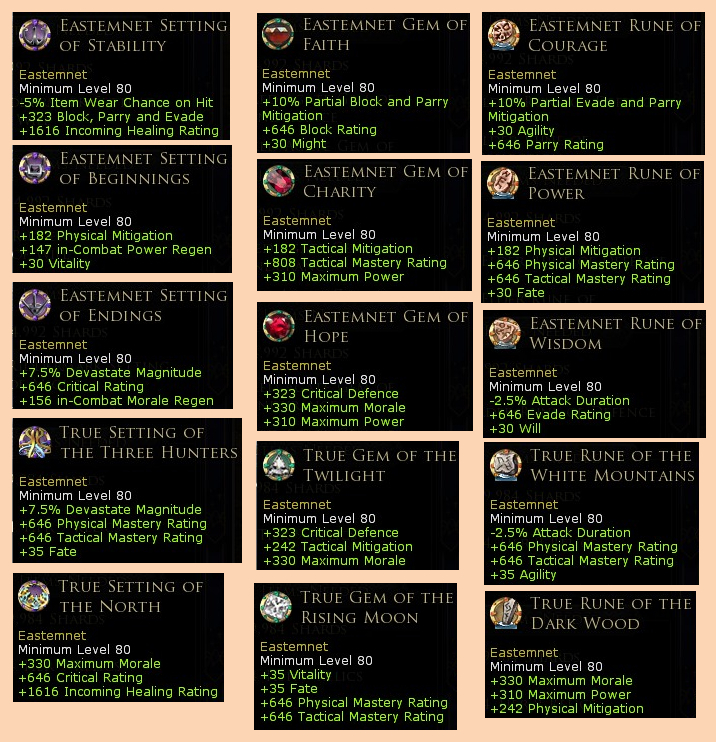 The Eastemnet relics: To keep you from having to flip back and forth to see the Eastemnet relics, here is the same layout again. Observation #1: The Eastemnet set also had True Relics. They cost more than either Eastemnet or Wildemore but depending on your build, they might have more impact. Observation #2: The gain from Eastemnet to Wildemore relics is very small. As always, for the percentage bonuses on the relic, those will always be the same regardless of the tier (for example, -2.5% attack duration is the same on Unique level 55 all the way through Wildemore relic). The numerical bonus increase is similar to the increases between the various tier relics, which is just a gradual increment going up. 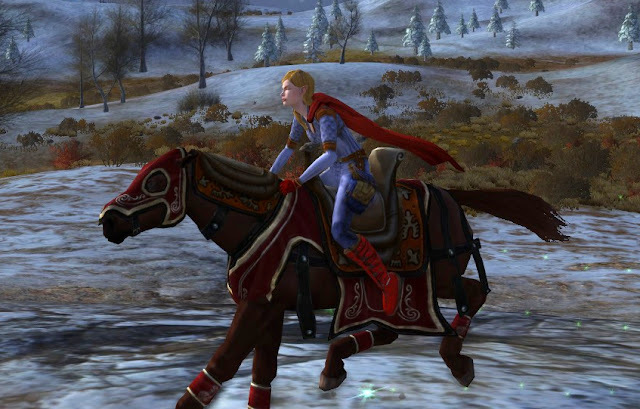 Barallas and Tithenolf perform the Y.M.C.A dance in Balewood. Max Morale: True Setting of the North, Eastemnet Gem of Hope, and True Rune of the Dark Wood. The only upgrade would be the Gem of Hope. Exchanging the Eastemnet for the Wildemore, morale would go up by +33. The cost would be 3 more T9 relics + 7488 shards. 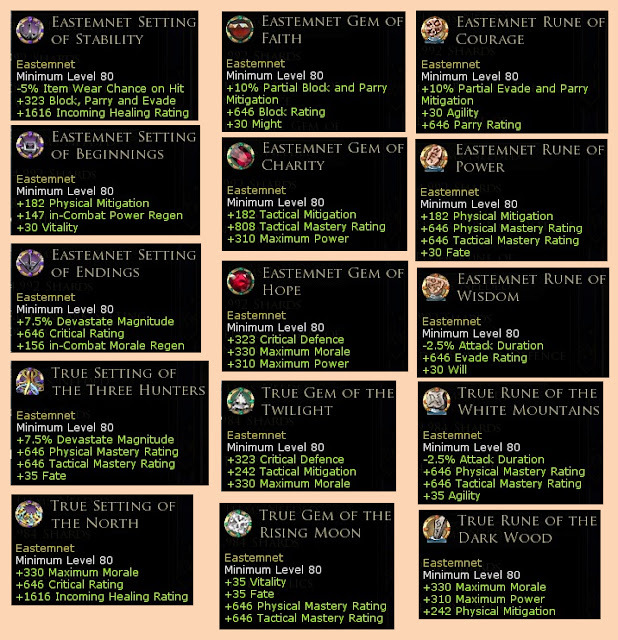 Max Mastery: True setting of the Three Hunters, True Gem of the Rising Moon, and Eastemnet Rune of Power. The Rune of Power would likewise be exchanged to gain +41 mastery and +2 fate (≈ 0.13% more damage and 0.01% more crit chance). Also, same cost of three T9 relics + 7488 shards. 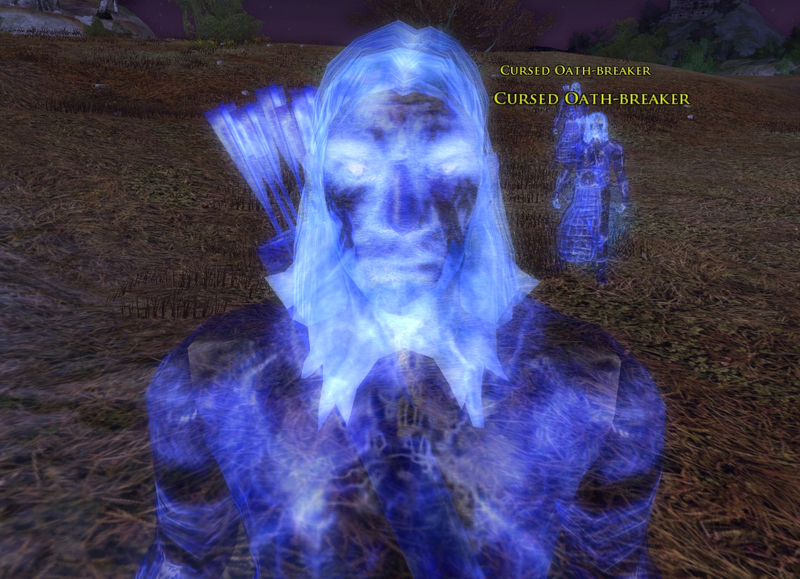 A Cursed Oath-Breaker asks me whether Wildemore relics are worth the cost for an upgrade. I chose the True Setting of the North, Eastemnet Gem of Hope, and True Rune of the Dark Wood. (danania-85: RK Directory) though a number of the relics are fine choices. I don't want to spend the relics to get the Wildemore Gem of Hope now, but only because I already have my Eastemnet Gems of Hope. 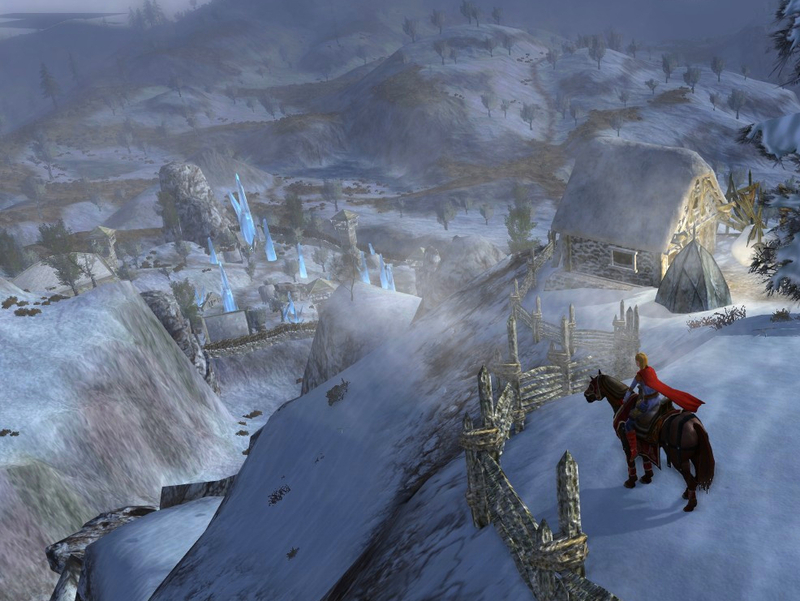 In Part 1, I listed a good "Mixed set" that I would have considered, and if I did it again, I might have chosen True setting of the north, True Gem of the Rising Moon, and Wildemore Rune of Power. For Settings, the "Endings" and both "True" relics are fine choices for RKs. Keep in mind that "+7.5% devastate magnitude" really means (all other things constant) your Devastate damage is now your base multiplied by 2.075, versus a normal 2.0. It sounds cooler as "+7.5% devastate magnitude" and can add up with big hits. Optimize your choices. For Gems, the "Charity", "Hope", and both "True" relics are fine choices for RK. For Runes, the "Power", "Wisdom", and both "True" relics are fine choices. Something I would never recommend is to get the T1 - T9 rune relics. None of those are worthy of a RK so this one is one area you would want to find good upgraded relics. I am monarch of all I survey, desolate though it may be. ~ Supergirl watches over Scylfig. I just crafted my first 1A weapon yesterday, so this is very timely information. Thanks for compiling it all and for your recommendations! Yay Anonymous! I'm glad that worked out for you!